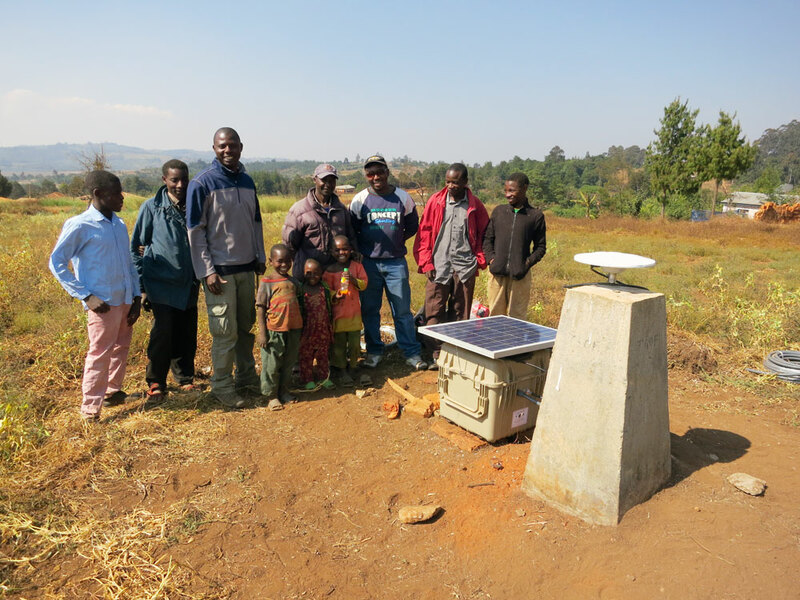 During July of 2012, 10 new continuous GPS stations were installed around the Lake Malawi region. Lake Malawi is the southernmost lake in the East African Rift system, located between Malawi, Mozambique, and Tanzania. The third largest and second deepest lake in Africa, it is also the ninth largest in the world. 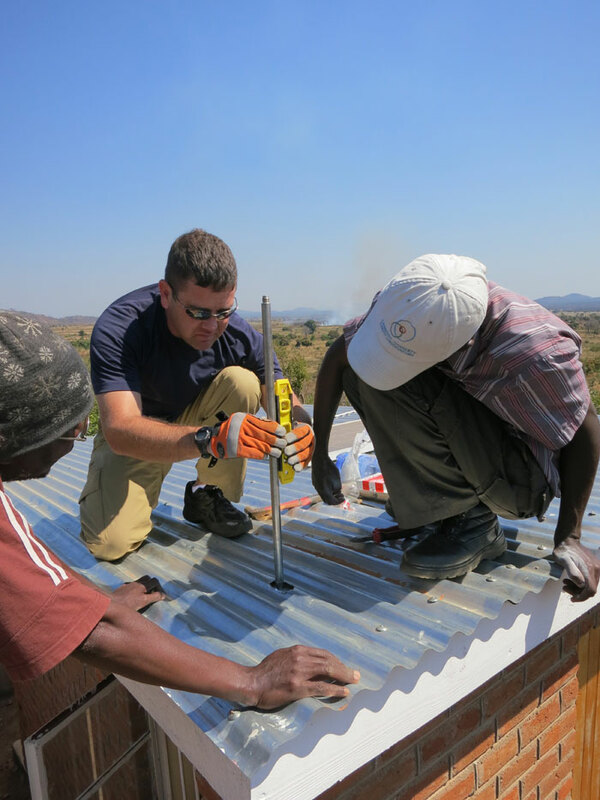 Working in Africa always presents many challenging logistics for large-scale projects and this was no exception. 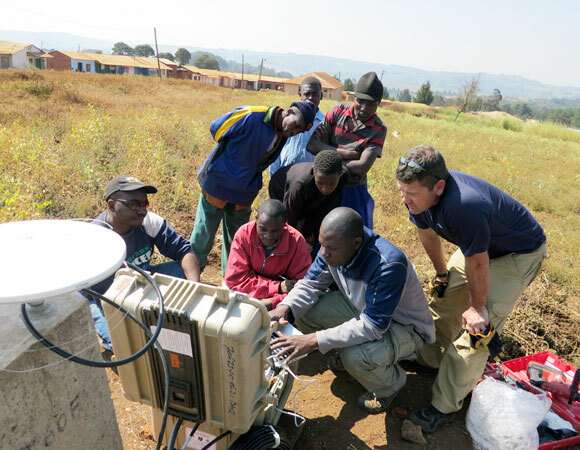 UNAVCO engineers and local collaborators installed 10 sites. 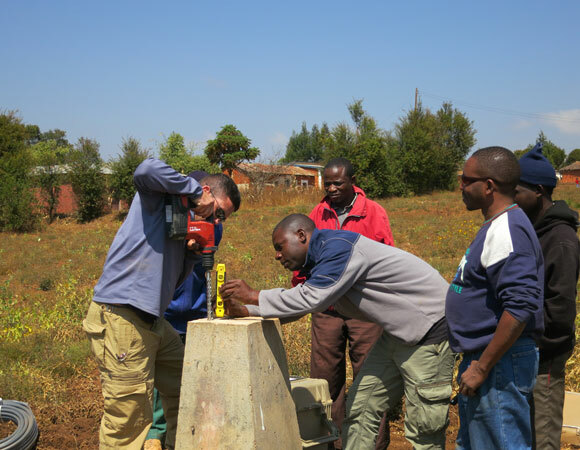 The local collaborators also learned how to also install and maintain the sites. The final network of 10 sites are scheduled to run for the next 5 years with the local collaborators maintaining them. Data will be downloaded every few months. 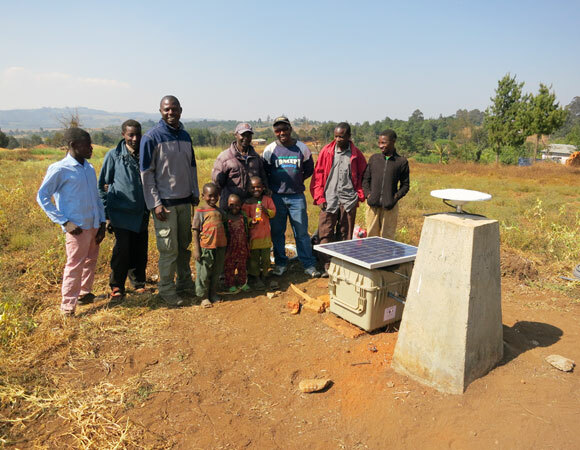 There are also two additional continuous GPS sites scheduled to be installed for this project in Zambia in early 2013. What controls the emergence and evolution of segmentation and magmatism in early-stage rifts and how do they relate to extension in time and space? The East African Rift system provides ample grounds to explore this question. The East African Rift is an active continental rift zone in East Africa that appears to be a developing divergent tectonic plate boundary. The rift is a narrow zone in which the African Plate is in the process of splitting into two new tectonic plates called the Somali Plate and the Nubian Plate, which are subplates or protoplates. This project is attempting to acquire and analyze a dense, multi-faceted geophysical, geochemical, and geological dataset in the northern Lake Malawi region. Active and passive seismic data will reveal the 3D structure of the crust and lithosphere at a variety of length scales, from the architecture of border faults and accommodation zones to the distribution of deformation and magma (if present) in the mantle lithosphere. Surface deformation, seismicity, and rift stratigraphy, as well as geochronology, thermobarometry and geochemistry of volcanic rocks, will yield constraints on the origin of magmatism and the evolution of deformation and magmatism through time. This could possibly include variable contributions from sublithospheric versus lithospheric sources. Comparisons of active and cumulative deformation patterns will enable us to evaluate the importance of episodicity and magmatism in accommodating extension and how they relate to segmentation. This powerful combination of temporal and spatial constraints will produce unique insights into the initiation of segmentation and magmatism during continental rifting. Figure 1. 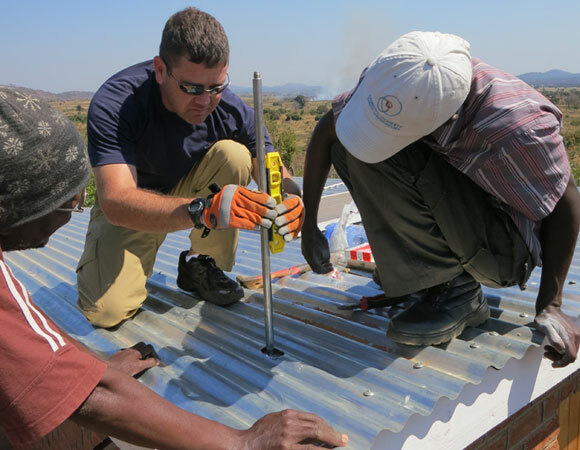 UNAVCO engineer Abe Morrison shows local collaborators how to level the antenna mount on a roof top near Vwaza Malawi. Photo by Emily Seider. Figure 2. 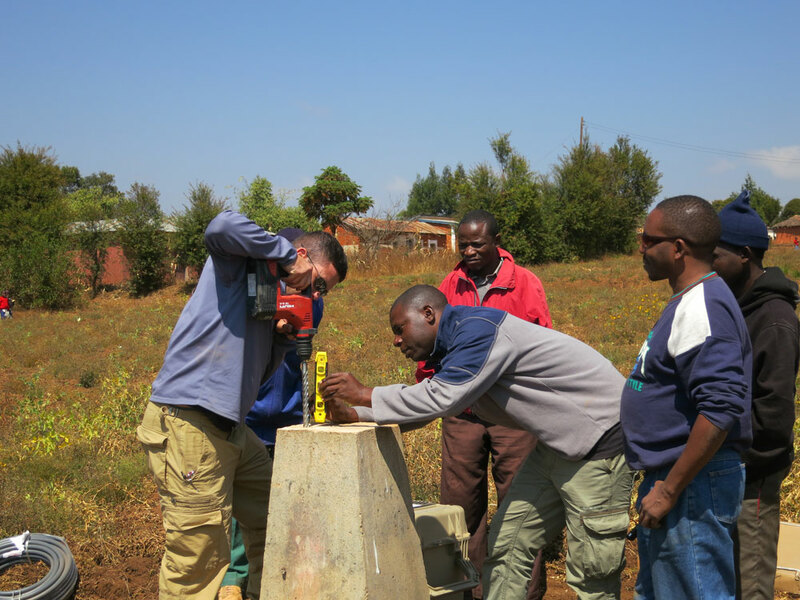 UNAVCO engineer shows local collaborators how to drill the hole for the antenna mount near Matola, Tanzania. Photo by Abe Morrison. Figure 3. 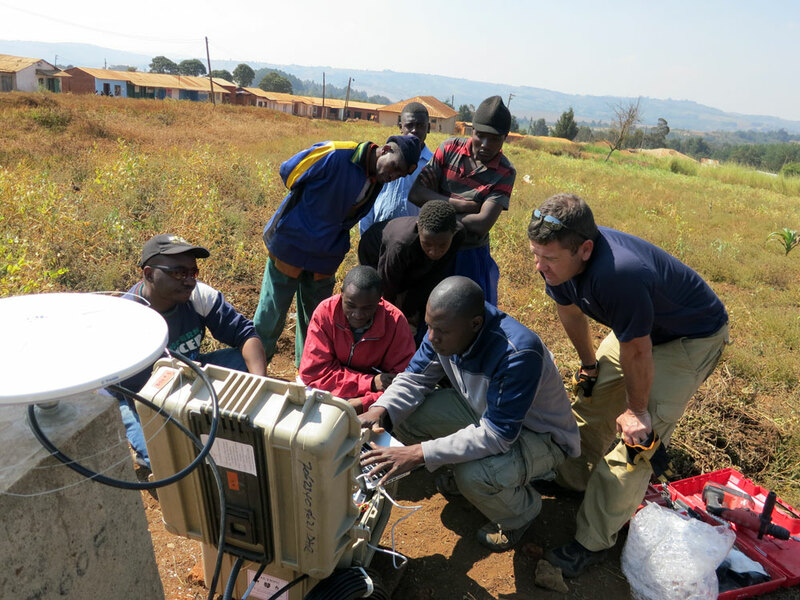 UNAVCO engineer Abe Morrison shows local collaborators how to program the Trimble NetR9 GPS receiver. Photo by Emily Seider. Figure 4. Finished station MTOL at Matola Tanzania. Photo by Abe Morrison. Figure 5. 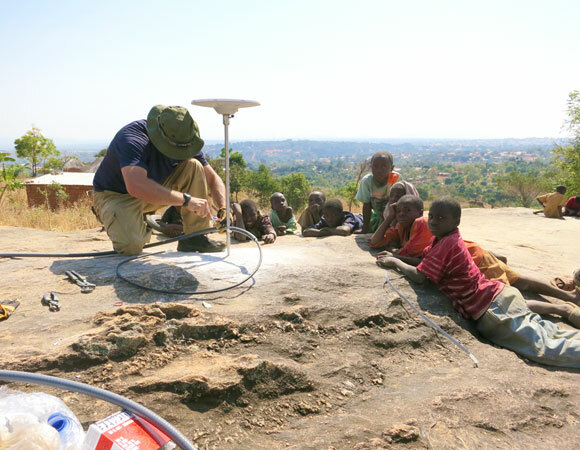 UNAVCO engineer Abe Morrison draws a crowd of curious children while finishing installation of the Trimble Zephyr Geodetic GPS Antenna near Songea Tanzania. Photo by Emily Seider.